On Tuesday Kino Lorber will release on Blu-ray Alberto Cavalcanti’s They Made Me a Fugitive, and I can only hope this signals at least a mini-flood of Cavalcanti titles from the company. Something like the dedication they show to Jean Rollin would be preferable, but really anything would be welcome. If Vernon Sewell can get two movies out there, Cavalcanti deserves at least that many. I don’t say this merely because They Made Me a Fugitive is very good, although it is. I say it because, in order to provide myself with some small amount of context in which to view They Made Me a Fugitive I watched another Cavalcanti film – Cavalcanti being completely new to me – called Went the Day Well?, which I knew to be beloved by Dennis Cozzalio, and that’s pretty much good enough for me. But Went the Day Well? blindsided me with its sheer and total and unavoidable greatness, so that Cavalcanti at once became a filmmaker whose work I was now greedy for. 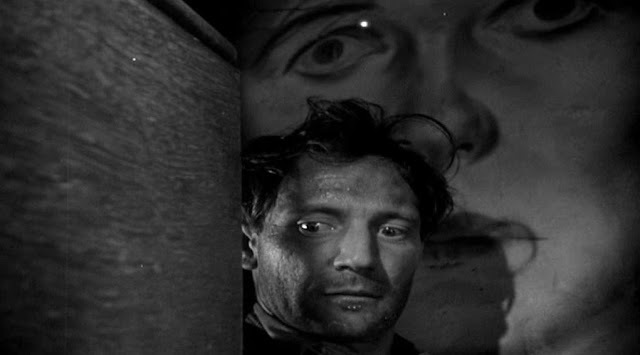 I say Cavalcanti was new to me, but watching They Made Me a Fugitive yesterday did carry a hint of déjà vu along with it. 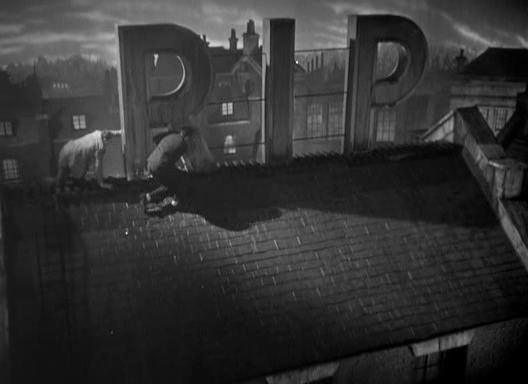 Particularly the early scenes, where Clem (Trevor Howard), a soldier fresh from World War II finds himself unwilling or unable to fit back into civilian life, which he now finds boring, and so he agrees to join up with a group of London gangsters led by Narcy (Griffith Jones), which is fine as long as it’s just stealing, but when Clem finds out that Narcy is branching out into narcotics his morals kick back in and he refuses to be a part of it. Narcy says okay, it’ll just be this one-time deal, and after that they won’t touch the stuff, although, of course, he’s lying, and during a panicked getaway later, Narcy, in the car with Clem and fellow gangster Soapy (Cyril Smith), Narcy orders Soapy to run down an approaching police officer, a murder Clem struggles unsuccessfully to prevent. After the car inevitably crashes, the cop’s body in its wake, Narcy arranges Clem’s unconscious body so that he appears to have been driving. When we pick up with the story after the cut, Clem has been in prison on a murder charge for at least a little while. And to top it all off, Narcy has stolen Clem’s woman. From there, They Made Me a Fugitive becomes a mixture of a man-on-the-run film and a revenge film. The man-on-the-run sections are among the most interesting, especially a strange, stand-alone bit where Clem enters a home and is confronted by a woman (Vida Hope) who makes him a startling offer. What happens in this scene doesn’t have much impact on the rest of the film, but is instead something like a short story stuck in the middle of a novel. It’s fascinating and engaging precisely for that reason, and for the weird performance by Hope. If a monotone can be sinister, that’s what she’s doing, or trying to do. 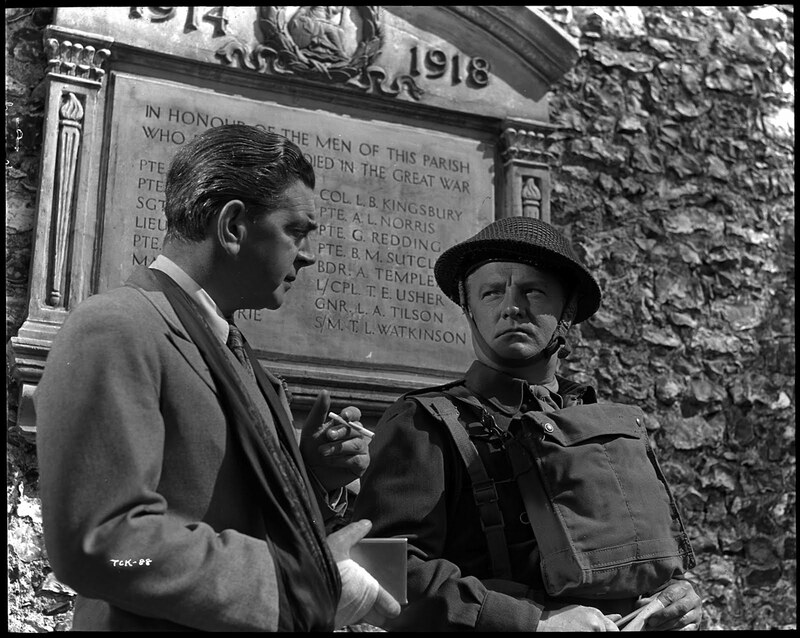 The film as a whole is expertly crafted, as I’m beginning to learn is to be expected from Cavalcanti, and has about it an air of particularly British cynicism. This is a crime film, and so cynicism comes with that territory, but I happen to be reading The Small Back Room by Nigel Balchin, an English novel from 1945 about the war years, and it occurs to me that the cynicism of some British war fiction, and films, as well as of a good deal of their take on the crime genre, is of the exhausted variety. Clem is driven, but he’s tired, and the ending of They Made Me a Fugitive is one of resignation. The American version of the same story might have a bit more sweaty desperation to it. In English stories of this type, there’s always an assumption of bureaucracy at play somewhere, keeping the gears locked. This is the case even in a film like They Made Me a Fugitive, when bureaucracy doesn’t poke its head in, even as a theme. In fact, the cops are trying to do the right thing. But somehow Clem understands that this won’t, and can’t, work out. Calvacanti has a real way with action, too. The climax of They Made Me a Fugitive takes place in a storeroom for coffins (the film foreshadows a fair amount of doom; more, even, than the film contains), and the fight that breaks out is as clumsy, ugly, chaotic, yet clear and logical as you could want. One character's death is almost stupid, but not in the sense that the film has made a mistake. Rather, the character assumed a capability he probably shouldn't have -- it's not an unbelievable move on his part, though. 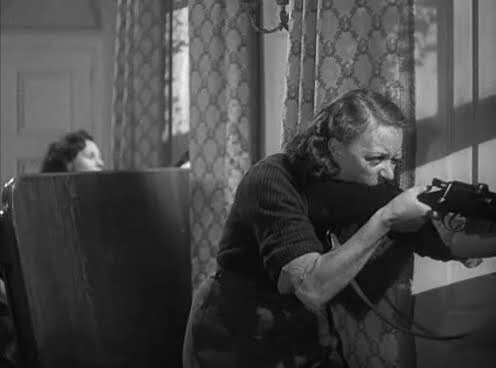 In any case, the action in They Made Me a Fugitive pales next to that featured in Went the Day Well?, which is a combat film of a highly unusual type. Made in 1942, based on a Graham Greene story called "The Lieutenant Died Last" (a story I was appalled to discover I did not possess in any story collection I could think of, and so I have a Greene collection wherein it may be found winging its way to me as we speak), Went the Day Well? is about a group of Germans who have been trained to pose as English soldiers in order to con their way into being billeted in the English village of Bramley End. There, the plan is to help set up a planned German invasion, with the assistance of long-time village resident and German agent Oliver Wilsford (Leslie Banks), a character I quickly grew to loathe. The villagers are honored and pleased to do their part for what they believe is the English war effort, though within a half hour of the film's 92 minutes, certain suspicions lead some of those villagers, primarily Norah (Valerie Taylor) to wonder about these soldiers. Once the lid is blown off, the soldiers, led by Basil Sydney as a German officer whose English accent slips when the heat's on, become Nazis, and Went the Day Well? turns brutal to a degree I never anticipated. Went the Day Well? quickly became one of my favorite films of all time during a scene I wouldn't think of spoiling, other than to say it features Muriel George as Mrs. Collins, giving a performance for one scene that is essentially perfect. Not that she was bad before this, but she'd been the picture of the jolly English widow up until then, and in this scene some kind of dam breaks. It's magnificent, and one of the great movie scenes. Of all movies, I'm saying. This is an unambiguous classic. And there are more moments that reach that same level still to come -- the payoff to Taylor's character is another (really, the women in Went the Day Well? pretty much steal the show). It's a film I love so much that it's hard to talk about. I could gush, but anybody can gush. Maybe give me a few months. Maybe I'll have another reason to talk about it after Kino Lorber takes my hint.